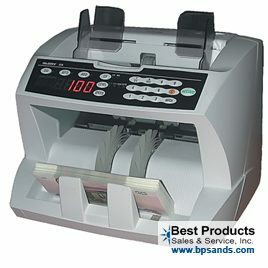 Buy the Billcon N 120 A Money Counter - When Quality Counts! A true commercial quality workhorse. The new and improved, Billcon N 120 A. 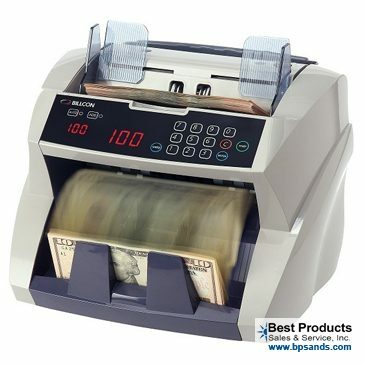 The Billcon N 120 A money counter has a new look, with the same quality Billcon has built their reputation on. If you are looking for quality- look no more. The Billcon N 120 A is one of the fastest, most accurate, and serviceable designs on the market. This machine is designed for continuous counting, in the most demanding environments. 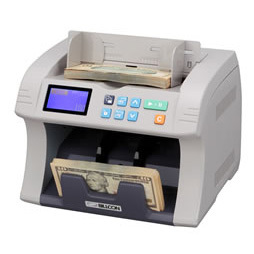 When choosing a money counter- quality counts. This machine is designed to run continuously for years- most of our customers have older Billcons that they purchased over 20 years ago, and they run as good as new! The Billcon N Series of Note Counters offer you all this…and so much more. Heavy duty construction, engineered parts, sleek design and 1,500-note-per-minute speed…all in one compact machine. With the Billcon N 120 A you can increase your company’s productivity, and get the ease-of-use, product reliability, and superior after-sales support that’s made Billcon a success in over 70 countries worldwide.